Joëlle Léandre, double bass; Vincent Courtois, cello. 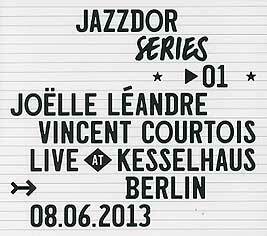 Recorded live at Kesselhaus Berlin on 8 June 2013. Graphics (front cover reproduced above) by Helmo.